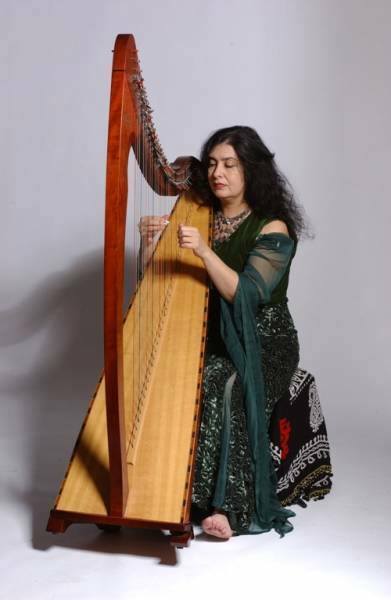 Tara Jaff is an Iraqi Kurdish musician who experimented with different string instruments, but it was her fascination with the ancient harps of Sumeria and Iran that drew her to the contemporary Celtic harp . She has embraced this instrument and introduced it to Kurdish music. When did you move to England? I moved to UK in 1976 to study psychology and I ended up staying here because of the political situation in Iraq. My parents moved over here as well. Did you want to be a psychologist then? I initially trained in counselling with the aim of becoming a psychotherapist. I had one final exam to finish to be accredited, however, both my parents became ill at the same with cancer, and I had to give up both my counselling work and my training in order to look after them. I was also a single mother with a son. This was in the late 90s. Although music has been always part of my life, I never imagined doing music professionally, as my whole ambition was to become a psychotherapist. When my parents passed away, I didn’t return to my training , instead I started to develop my harp playing, and then it just completely took over my life. When did you start being interested in music? When did you start professionally? 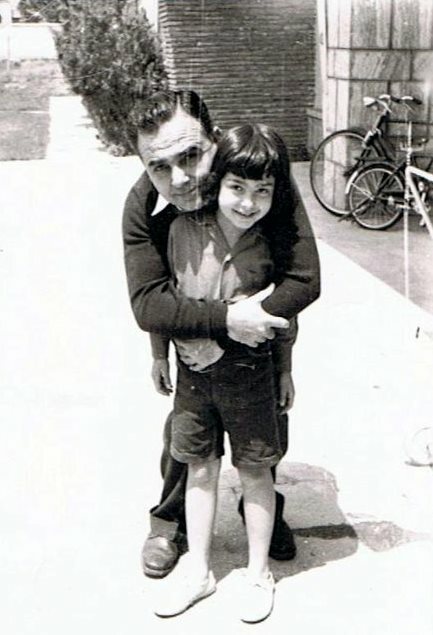 When we were children, my parents sent me and my sister to piano classes after school, for a couple of years. Then I started to practice guitar, my favorite instrument then, by myself. When I moved to the UK I started to pick up different instruments and then came cross the harp and got myself one in 1985 , but didn’t play continuously with it. However, I started to take focus more seriously on the harp around 2001, and experimented with Kurdish music, composing harp arrangements for Kurdish folk songs. I released my first album, Diley Dêwanem, in 2005. Why did you choose to play harp? I just felt in love of its sound! It was one of those instruments that completely fascinated me since I was a child. Was your music used in any films? Did you grow up among a traditional society? 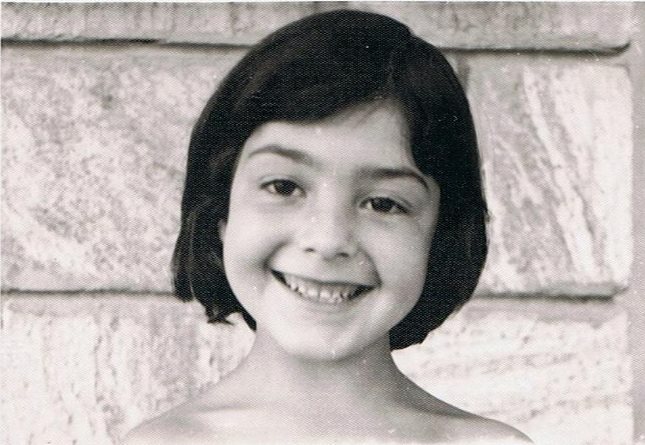 Although the society was traditional, I was lucky in that my parents were progressive. I also grew up in Baghdad. Do you consider yourself as a cool mother? I am the coolest mother you can ever see (Laughing), my son thinks so at least, I am very close to him, he can tell me pretty much anything, even the smallest problem you can ever imagine. He knows that I am not judgmental and I tell him always: you know whatever you have done, I have probably done worse (Laughing). My counselling training helped as well. You are a member of Kurdish Film Festival community, what was your role? I was for several years, but I had to quit some years ago because I was traveling all the time. I was active since the beginning, did fund raising and helped organize the festival. You play music for patients in hospitals, what does drive you to do so? Some years ago, I was contacted by an organisation called Vital Arts in London who asked if I was interested in playing the harp for patients in hospitals, I did this for five years. It was a spiritually fulfilling work, however quite tiring as well. After I finished my contract, I heard that the NHS Trust that funded these art projects in hospitals was cut. Unfortunately, a lot of funding has been cut from the arts in London. How do you rate a Kurdish musician? What you see on TV isn’t necessarily what you would get. I rate a musician how they play live, or how they compose music or make arrangements for a song. I have got an album coming out very soon which is a collaboration with the Tembur player Cemîl Koçgirî. A project with Mezopotamya Dans, and several other projects. Posted in Music and tagged #harp #Music #Kurdishmusic. Bookmark the permalink.